Network engineers are constantly challenged to maintain application performance, stay ahead of security breaches, and resolve complex network problems. To do so effectively, they need a way to visualize the data—like NetFlow (IPFIX) and packet data—that helps engineers get the needed network visibility to make accurate and informed decisions. 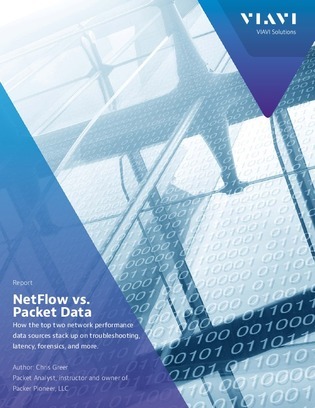 In this white paper, review the strengths and weaknesses of both flow-based and packet-based visibility and the best scenarios for using each of them.